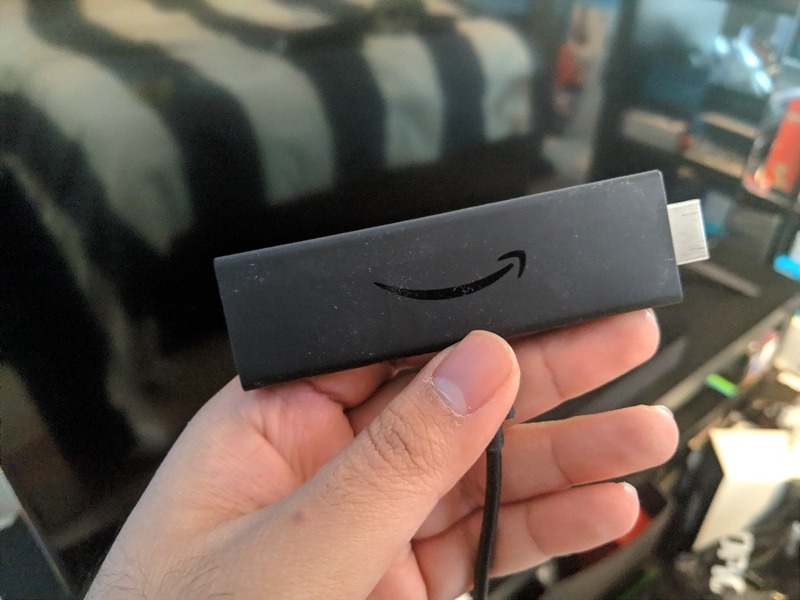 The Fire TV Stick 4K has a basic rectangle design with the signature Amazon smile logo on it. The device uses a 1.7Ghz quad-core processor, dual-band Wi-Fi (MIMO) and because of all that beefy processing power, it can easily handle the 4K video. 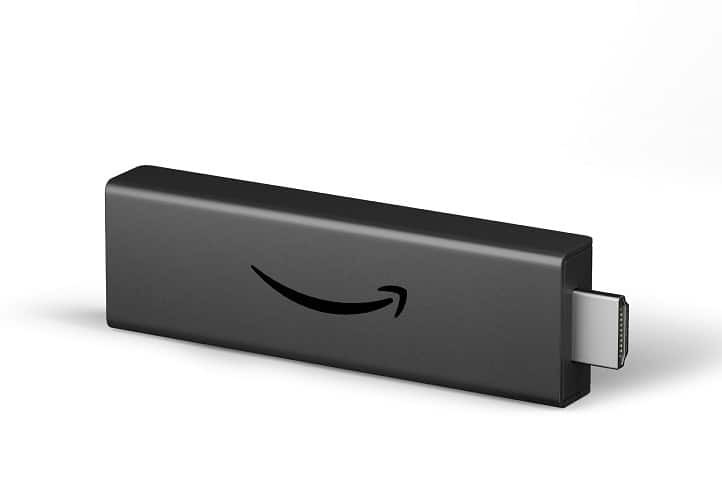 Amazon also offers an Ethernet Adapter for their Fire TV devices, in case you don’t want to rely on Wi-Fi for your Fire TV Stick 4K. The Fire TV Stick 4K is compatible with Dolby Vision, HDR10, HLG and HDR10+ plus Dolby Atmos sound. The actual device is fairly long, so much that you may not be able to plug it into the back of your TV. 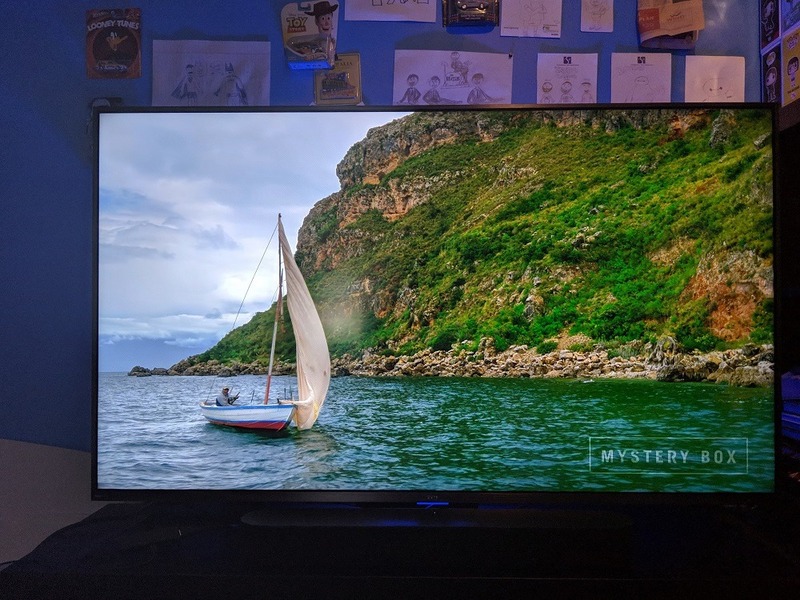 If your TV’s HDMI ports are facing to the sides like they are on the TCL 6-Series Roku TV, you may need to use an HDMI extender or an HDMI hub (capable of 4K video output). Thankfully, Amazon does include an HDMI extender included in the box, to help circumvent issues with plugging it into your TV’s HDMI ports. 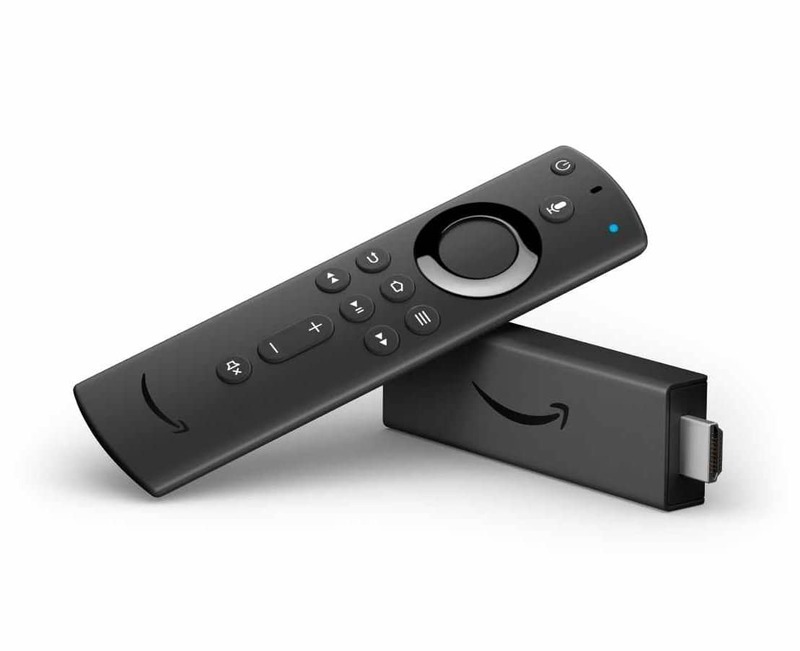 The Fire TV Stick 4K also comes with the Alexa Voice Remote which can not only control your Fire TV Stick but also control your TV and soundbar by being able to turn on/off, volume and mute. The remote has a power button, mic button to talk to Alexa, directional pad, home, back, menu, play/pause, fast-forward/rewind, volume up/down and mute buttons. 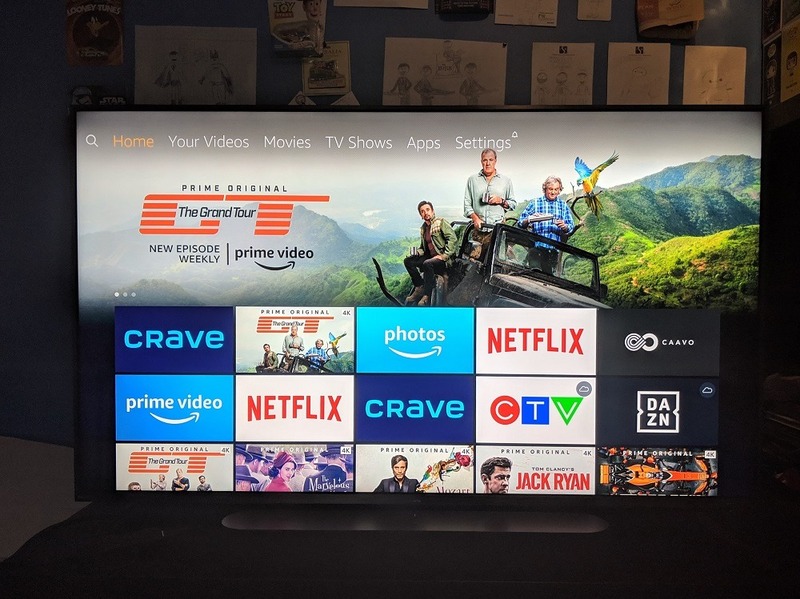 The Fire TV Stick 4K is available now from Amazon.ca, BestBuy.ca for $69.99 CAD. That puts it below other 4K streaming devices such as the Roku Streaming Stick+ ($89.99 CAD), Google Chromecast Ultra ($90 CAD), Apple TV 4K ($229 CAD) and Nvidia Shield ($259 CAD). As mentioned earlier, the Ethernet Adapter for the Fire TV Stick 4K costs $19.99 CAD from Amazon.ca. 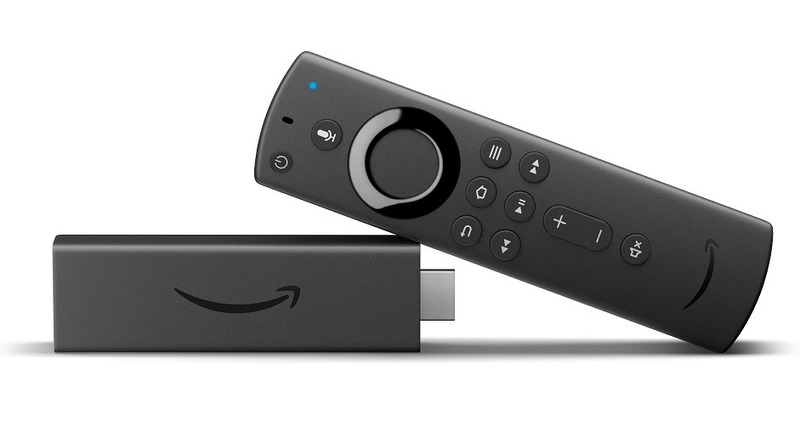 The Fire TV Stick 4K is running Amazon’s Fire OS 6 which is based on Android 7.1 Nougat. Navigating through Fire OS is quick and straight forward, thanks to the device’s quad-core processor. The interface is divided up into a few sections, Home, Your Videos, Movies, TV Show, Apps and Settings. Home is fairly straightforward, with it being the main homescreen. Your Videos shows you all the videos on your Prime Video Watchlist and some of the Prime Original Series available in 4K UHD. This section will also show your recommended content from services like Netflix and etc. Both the Movies and TV Shows sections will show you all the movies and TV series available to stream on Prime Video. The Apps section is basically the app store for the device, where you can download apps like MLB.TV, Plex, and also some games like Crossy Road etc. And finally, Settings is pretty self-explanatory, it’s where you can change settings for your Fire TV Stick 4K. In terms of content, you have access to apps such as Prime Video, Netflix, Crave and more. And you can watch 4K Ultra HD video from Netflix and Prime Video on the Fire TV Stick 4K. One thing to note is that because of ongoing tensions between Google and Amazon, there is no official YouTube app for the Fire TV Stick 4K, there are third-party ones available for the device. Since the Fire TV Stick 4K has Alexa, you can control your smart home devices such as Philips Hue, Ring, SmartThings and more. You can also ask Alexa questions and to search for content to watch. 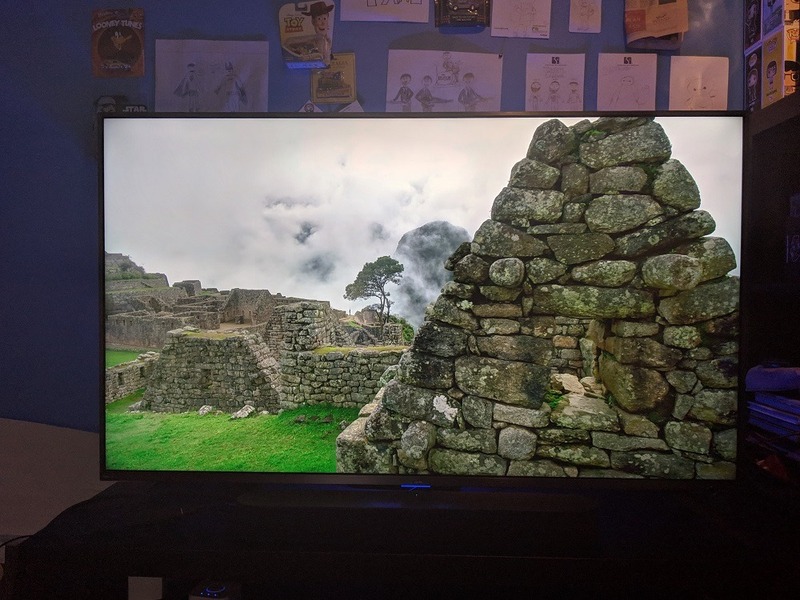 Essentially, you can use the Fire TV Stick 4K as an Echo Show. 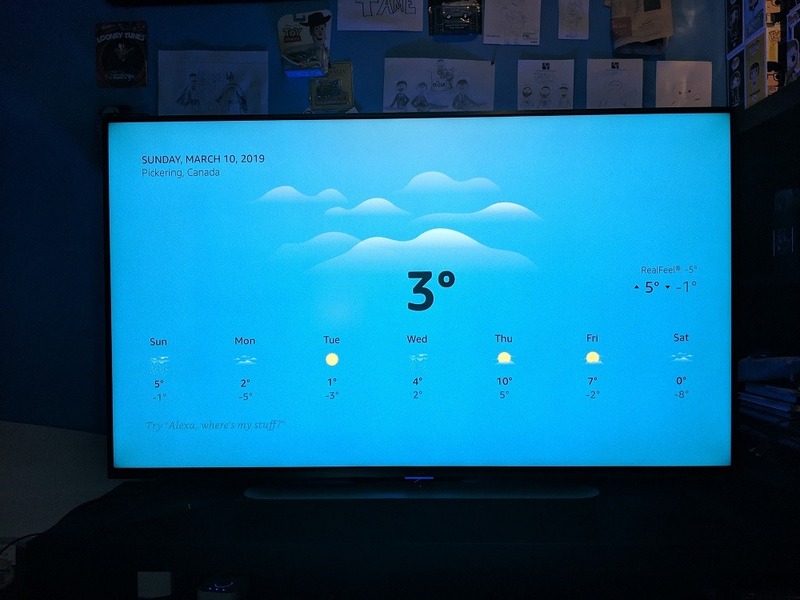 The Alexa Voice Remote can also be used to control your TV, by asking things like switch to HDMI 1 or 2 and volume controls. In addition, you can control your Fire TV Stick 4K using the Fire TV app. 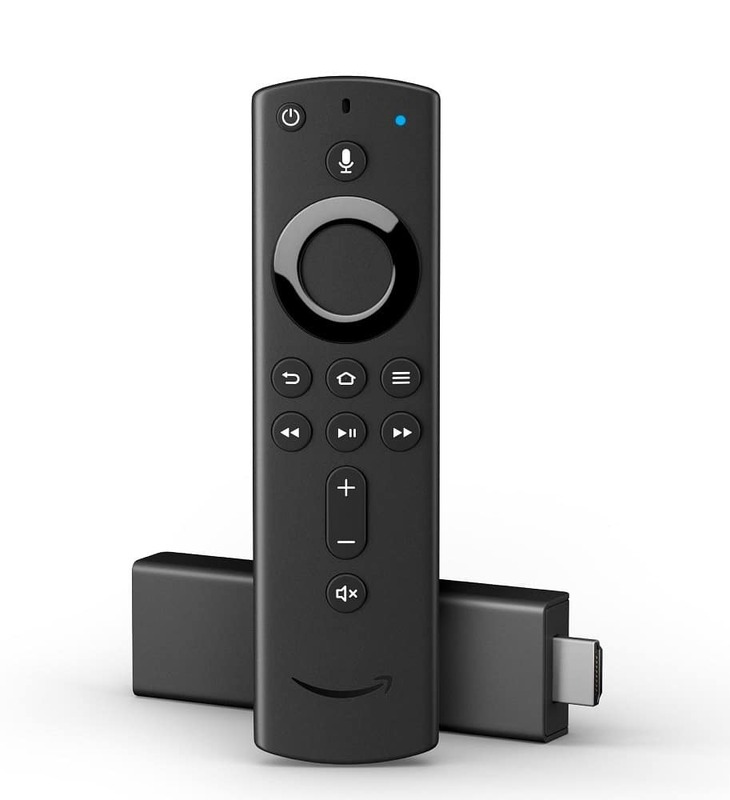 You quick open apps on the Fire TV Stick 4K and also use the app for keyboard input and even talk to Alexa via the app. 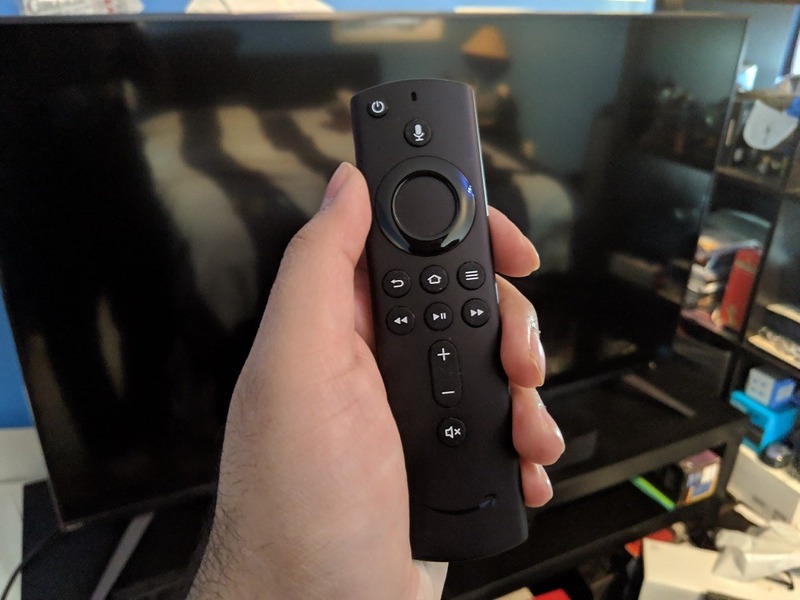 Overall, the Fire TV Stick 4K is a great device, especially if you’re already in the Amazon system with Amazon Echos in your home.